A big, full-size SUV can be hard to maneuver in busy metropolitan areas, and urban dwellers need a small vehicle that does not burn a lot of fuel. Here are some of the best compact vehicles for surviving city life. The Fiat 500 Abarth for is for the commuters who desire an extra measure of performance. Featuring Fiat’s exclusive Multi-Air technology, the hatchback’s turbocharged engine produces a satisfying 160 horsepower. 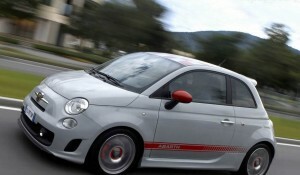 Meanwhile, a sports-tuned suspension enables the 500 Abarth to deliver sports car-like handling. The vehicle’s race-inspired styling makes it even more appealing. In terms of gas mileage, drivers can average up to 34 mpg. The Fit is a fun-to-drive hatchback that offers a lot of versatility and tends to sell very fast. The car’s quick-revving engine makes it a joy to drive on an everyday basis, and although the Fit may look small, it actually offers a family-sized interior. If you need to transport extra cargo, the rear seats can be easily folded down. 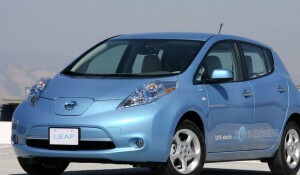 With a maximum driving range of more than 100 miles, the Nissan LEAF is an ideal electric vehicle. Drivers can cruise around the city without spending any money on fuel. When attempting to park in a tight spot, the LEAF’s tiny size will certainly come in handy. The best part is that Nissan offers a convenient home-charging system. Up to five people will be able to tag along for the ride. 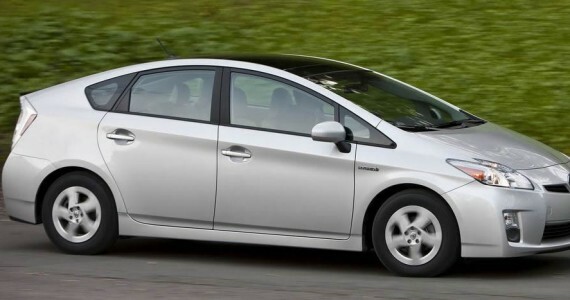 Over the past few years, the Toyota Prius C has become very popular. The urban vehicle’s combined gas mileage of 50 mpg will intrigue a lot of drivers, and an Entune audio system provides constant entertainment. Owners will definitely appreciate the Prius C’s low cost of maintenance. This is one of the few hybrid vehicles that actually offer a manual gearbox. The sporty two-seater is perfect for the people who don’t need to haul around a family. 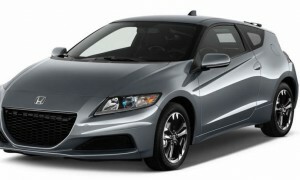 Honda’s renowned Vtec technology helps the CR-Z’s hybrid engine to develop an exciting 130 horsepower. If you desire a quick burst of performance, you can press the nifty Sport Plus button. Exotic paint colors such as Milano Red and Aegean Blue make the CR-Z stand out from the crowd. Every vehicle on this list is perfect for navigating the urban jungle. However, only you can decide which automobile best suits your particular lifestyle. For low cost or used options, don’t forget to check out the Autobank of Kansas City to see tons of different models. Finding a family vehicle that can fit the needs of every occupant, should also take safety into consideration. Several safety technology features are available in vehicles today, and the following represent some of the greatest advancements for the 2014 lineup of vehicles. 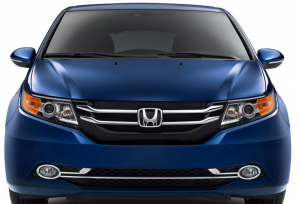 The 2014 Honda Odyssey van boasts exceptional cargo room for large road trips and growing families. It also features one of the highest safety ratings with the National Highway Traffic Safety Administration. Five stars of overall rating can be tied with the body structure and traction control system. Honda uses a structure known as the ACE (Advanced Compatibility Engineering) structure that distributes energy from a crash throughout the car to reduce stress in one crumple zone. Passengers will also be alerted and prepared for any collision. The Forward Collision Warning System uses a small camera to detect vehicles in front and activates a visual alert. The vehicle also engages in a dual-stage airbag system that inflates at different rates depending on the impact of the collision. 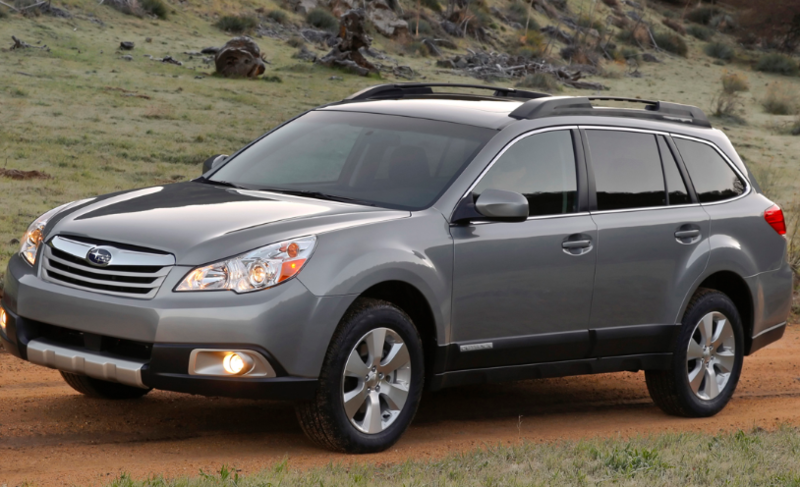 The Subaru Outback is a sporty and adventurous vehicle with plenty of safety features for growing families. The 2014 model features electronic stability control features that engage preemptively in rough terrain with the Eyesight Camera. Airbags are placed throughout the vehicle in the case of a potential rollover event. 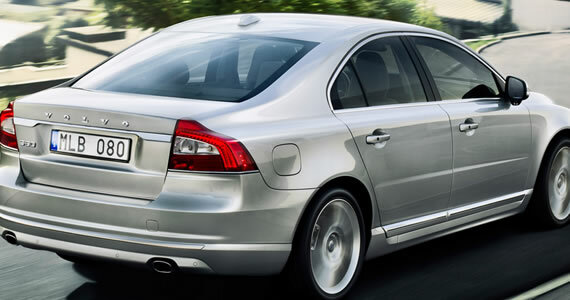 Volvo has a long history of safety milestones, and the S80 is no exception. This large sedan is the perfect car for good fuel economy and road safety in one package. Enhanced crash protection include additional overhead and side impact airbags to prevent injury in the event of a rollover accident. The car also features a stability control system that can sense when the vehicle is undergoing stress, and reduces engine power to prevent a collision. Occupants will also rest assured when airbags go off. The anti-whiplash head restraints cradles the neck to prevent injury in a typical front collision incident. The new Mazda CX-5 is a crossover vehicle with plenty of room and safety control for smart driving. According to Yearwood & Company Surrey lawyers, the vehicle supports additional smart braking procedures that engage in rough city traffic. Emergency notification will also automatically dial 911 when necessary in the touring models. A unique feature of this vehicle is the foldaway brake pedal that folds away on impact to protect the brakes from damage. Whether your family is looking for off-road adventure, or a fuel-saving vehicle with stylish flair, there is a vehicle with plenty of safety features available. Consider test driving one of these vehicles today and find out if it’s a good fit for your family. Purchasing a new car is a major financial investment for most people. Ideally, you should seek to buy a vehicle that offers long-term value and driving satisfaction. Unfortunately, all vehicles are not engineered with the same level of quality. Here are a few of the best models that are best to buy new. The Honda Civic Si is arguably the most reliable performance car on the market. The car’s sporty driving dynamics make it a good choice for the drivers who crave excitement on their daily commute. 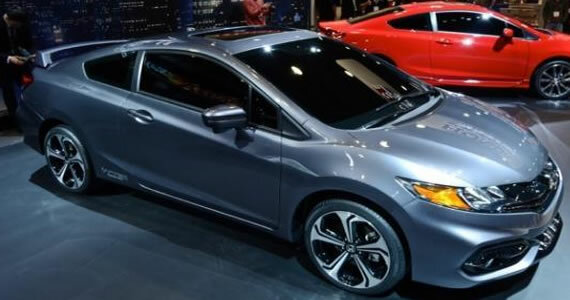 Prospective buyers can expect the Civic Si to deliver great fuel economy, and to maintain an excellent resell value. The 2.4-liter, four-cylinder engine is known to last for at least 300,000 miles without needing an overhaul. The best part is that the Civic Si still delivers over 30 miles-per-gallon on the highway. The 2014 GMC Sierra 1500 is one of the best pickups trucks for the money. Although there is a V-8 engine offered, the six-cylinder engine delivers the best balance of power and fuel economy. 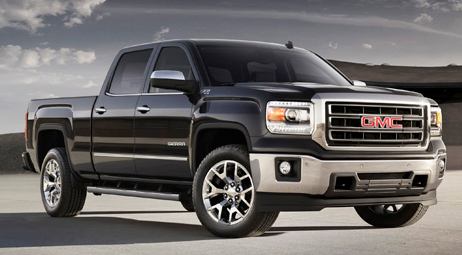 Unlike some of the other high-tech engines on the market, the Sierra’s 4.3-liter engine has a very simple design. This means that most backyard mechanics will find the engine to be very easy to maintain. Although the towing capacity is rated at a hefty 7,200 pounds, the truck still has a frugal fuel economy rating of 24 mpg on the highway. Engineered with a well-built chassis and a reliable engine, the Altima will last for many years to come. Owner surveys reveal that the Altima has very few problem areas even after 100,000 miles. While the V6 version delivers a beefy 270 horsepower, most people will find the 182-horsepower base engine to be just as entertaining. With 45 inches of legroom in the front, even drivers who are well over six-feet tall will fit comfortably. 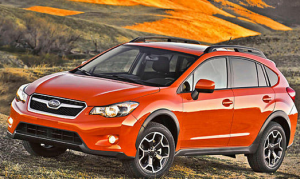 Very few all-wheel drive SUVs can match the Crosstrek’s 33 mpg highway fuel economy rating. 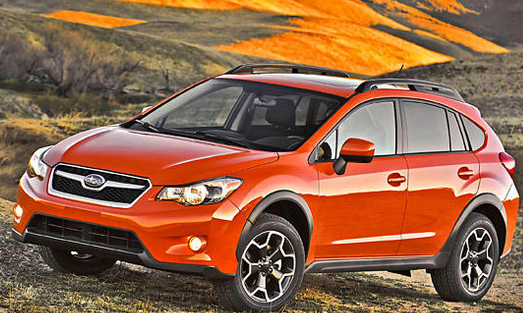 While the Crosstrek may appear small on the outside, there is an abundance of interior room for the family. While the Crosstrek is not capable of towing heavy loads, it is still rugged enough to take on an off-road trail from time to time. All four of these vehicles are excellent choices for the driver who is seeking a long-term commitment. Every owner can expect great fuel efficiency, excellent resell value, and a satisfying driving experience. 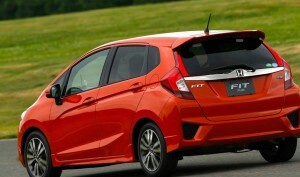 Honda’s popular subcompact Fit now offers full vehicle electrification. For 2013, an electric vehicle model enters the Fit fleet, joining the standard gas-powered four-door hatchback. The all-new Fit EV uses no gas and has zero tailpipe emissions output, and is rated as the most efficient passenger car by the EPA. Unlike some EVs, Honda used its proven Fit platform for this model. The differences between the two include the vehicle’s dashboard and overall weight, the latter accounting for a 20 kilowatt lithium-ion battery pack, a synchronous electric motors and related components. The dashboard is as striking as it is modernistic, featuring displays that are brightly lit and intuitive. Behind the steering wheel is a colorful three-gauge display, one that includes a three-mode drive system to give you the performance level that you desire. Choose Sport mode for optimum power, Econ mode for maximum efficiency or Normal mode to balance the two. To the right of the instrument and positioned in the center stack is Honda’s satellite-linked navigation system with voice recognition and a rear view camera. This system is standard and employs concentric range circles to help you determine how far you can travel on a single charge. This system is also designed to help you find the nearest 240-volt charging station via a talk button located on the steering wheel. Honda’s green credentials are further enhanced in the Fit as this model makes use of bio fabric seats. These seats are made from a sugarcane-based material, providing a comfortable and breathable seating surface front and back. The driver and front passenger are treated to heated bucket seats; the second row offers a 60/40 split bench for three people. The front-wheel-drive Honda Fit EV is powered by a 123-horsepower electric motor with 189 foot-pounds of torque. This vehicle can drive up to 82 miles on a single charge and offers the equivalent of 118 mpg, the highest rating ever for a production car. Charging time is in as little as three hours when utilizing a 240-volt charger. Simply pull up to the charging station, connect your Fit EV with the supplied cord and you’re ready to replenish your car. For quick, emergency charges the Fit EV comes equipped with an onboard 32-amp charger that gives you 17 percent recharger capacity in just 30 minutes. This is ideal in the event you go outside of your range and run low on electrical power. Fortunately, your car will warn you when it needs to be recharged with that information displayed on the instrument panel. You can also check your Fit’s electric consumption remotely by way of your smartphone’s app. That app also allows you to activate the climate control system before you get into your car. 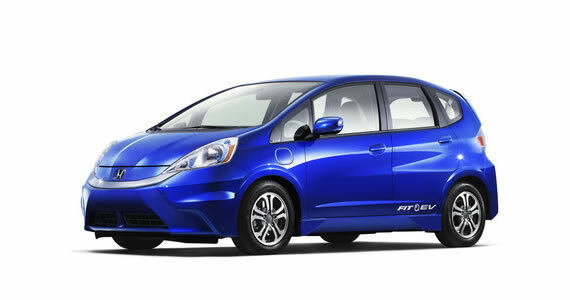 The Honda Fit EV sits on a 98.4-inch wheelbase and is 162.0 inches long by 62.2 inches wide and by 67.7 inches tall. This model weighs 3,252 pounds and offers 89.3 cubic feet of passenger volume. Standard cargo storage is 12.0 cubic feet, expandable to 49.2 cubic feet with the rear seat folded down. Not all electric vehicles allow for the rear seat to be completely folded down as the battery pack obstructs seat utility. Honda provides an electric car with the greatest versatility possible. Front head room measures 40.4 inches; there is 37.3 inches in the rear. Front leg room comes in at 41.3 inches up front and 35.2 inches in the rear. Front shoulder room is 52.7 inches; rear shoulder room measures 51.1 inches. Hip room for the front seat comes in at 51.5 inches and measures 45.0 inches in the back. The Honda Fit EV is loaded with your favorite comfort and convenience features. 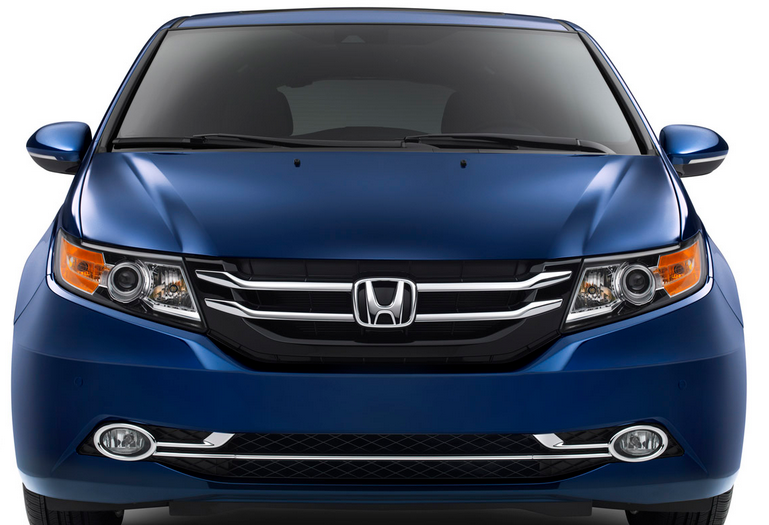 This model comes equipped with automatic climate control, Honda’s telematics system, a voice-recognition navigation system, a rear view camera, Bluetooth connectivity and power accessories. Also, you get cruise control, a leather-wrapped steering wheel, a tilt and telescopic steering column, 10 beverage holders, storage compartments and pockets, map lights, a 12-volt power outlet, floor mats and a rear window defroster. Its standard audio system features 6 speakers, 160 watts of power, an MP3 player, a radio data system, volume control, as USB audio interface and an auxiliary input jack. Introduced in summer 2012, the Honda Fit EV is available for lease only. Well-qualified consumers can get a Fit EV for $389 per month, putting $389 down and paying taxes and tags. This cost includes collision coverage, roadside assistance service and your maintenance costs, providing a transparent cost structure as you evaluate this capable electric vehicle. George Zeed lives in Grants Pass, Oregon and works for www.impactbattery.com. An avid outdoorsman and environmentalist, he writes about topics related to all kinds of recreational vehicles and accessories including the best battery chargers.